Jeff Daniels has become one of Michigan's top promoters. Three local Civil War re-enactors who appeared as extras in blockbuster movies will explain their roles Wednesday, April 11 in a program for the 7th Michigan Cavalry Civil War Round Table. Clips from the movies "Gettysburg," "Gods and Generals" and "Andersonville" and re-enactor comments will be facilitated by Dr. John S. Lore, a local Civil War scholar and well-known state civic leader, and Paul Davis, Saginaw, Civil War re-enactor and scholar and technical director of the program. Dee Dee Wacksman, prominent local volunteer and trustee of Delta College, is founder and commander of the local round table group that has been presenting Civil War programs for the past three years. The annual dinner of the group will be held at 6:30 p.m. April 11 in the DoubleTree Hotel -- Bay City Riverfront. Reservations for the $25 dinner may be made with Mrs. Wacksman at 892-1136 or at dwacks@hotmail.com. There is a $5 donation for those wishing to attend just the program. Dr. Lore is a former college president, St. Louis, Missouri, hospital conglomerate director and development director of the Detroit Medical Center. He is an active promoter of economic development in Michigan and the Bay area. The program will feature local re-enactors and the movies in which they played roles as extras are "Irish" Len McInerney, "Gods and Generals," "Yankee Soldier" Scott Cummings, "Gettysburg," and "Sailor" Bob Boquette, of Saginaw, "Andersonville." Dr. Lore will end the evening with reflections about actor Jeff Daniels' experiences playing in "Gettysburg" and "Gods and Generals" in which he portrayed Lt. Col. Joshua Lawrence Chamberlain. 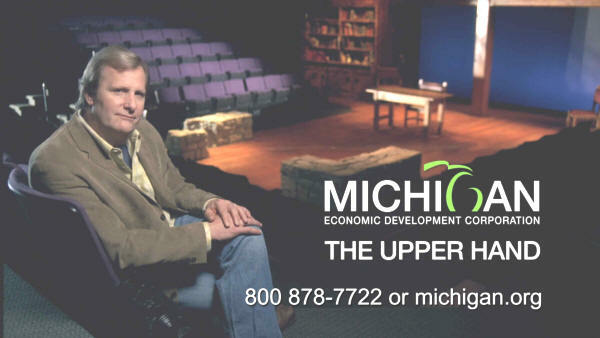 Daniels is a familiar figure and currently is featured in commercials for the Michigan Economic Development Corporation. Daniels, 52, a native of Athens, Georgia, is a singer, song-writer, actor and director. He is known for roles in "The Goodbye Girl," "Dumb and Dumber," and as writer-director of "Escanaba in da Moonlight." He has appeared on many network TV talk shows including "The Daily Show with Jon Stewart," "The Tonight Show," and many others. 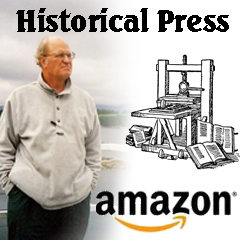 He played General George Washington in the TV movie "The Crossing" and has performed as Abraham Lincoln in a heralded recitation of "The Gettysburg Address."